One day, I was checking my Facebook news feed and saw something that really got my attention. It was Angelo Martorelli’s post, a friend, promoter and Dj of the Discompasso music project in a city in the middle of Brazil called Goiânia. 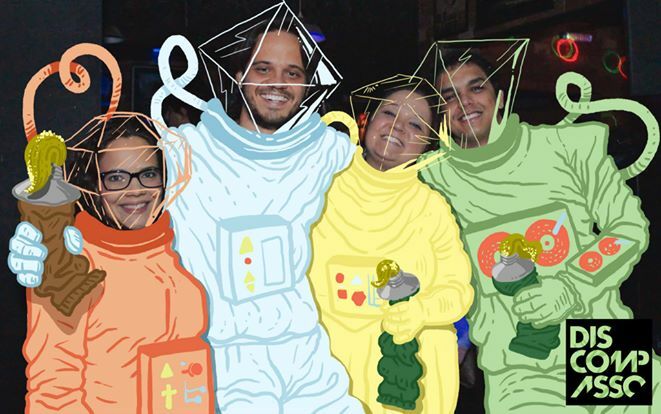 The party had “drawing” as its concept (called “Riscos e Rabiscos”) so they invited an artist to do something different for them. Thiago Martins aka “The Maza” was the man, with his personal style and lots of creativity he chose 5 photos, taken during the party, to draw over them. I was impressed with his style and creativity, and right away wrote to Angelo, to congratulate the idea and to see who was the man who did this super cool job. Having his contact and talking with Angelo I got the idea of bringing his talent also to Montreal. After some minutes I was chatting with Thiago inviting him to be part of our 2-year Bday party. 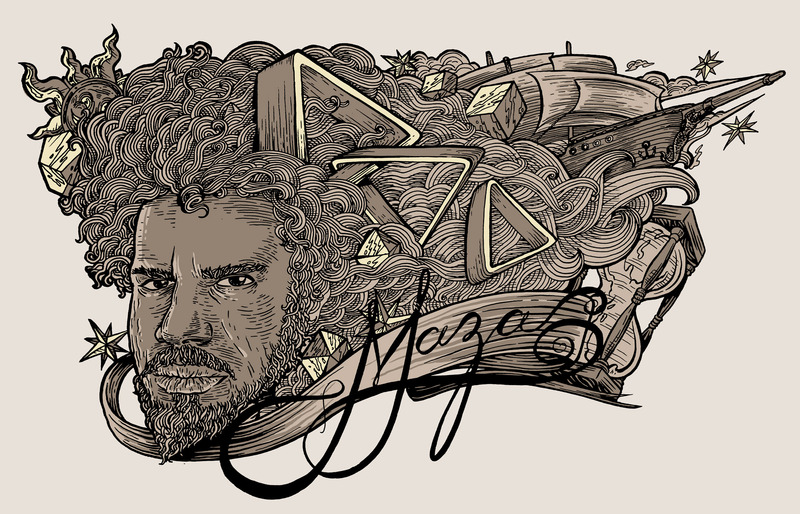 Originally from Trindade, a small city near Goiânia, Maza works today as an art director for a publicity agency, illustrating campaigns and being crazy on his personal projects. I’ve made a short interview asking him to tell us about his influences, his contact with music, his passions etc. Yo Maza! First I would like to congratulate you for you work and many thanks for accepting the invitation to participate in our 2-year Bday party. Can you tell us a bit about your history, how you started to draw and what influenced you to start a career as a graphic artist. 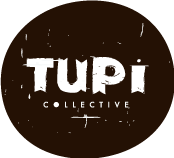 Thanks to you Marcus and to everyone involved with Tupi Collective. I’m really excited with this project! So nice! One day at school, I realized that it was what I wanted to do with my life. To draw, to draw, to draw. Putz! I started to collect experience with books, magazines, courses, until seriously starting high school in Graphic Design. Today I draw illustration for publicity working as an art director at AMP Propaganda in Goiânia city. Besides that, I get on with my personal projects, wanting to release my own comics. Don’t ask me when, but I’m going step by step. What are your artistic influences? Did they change over time? My references from today, compared to the ones that I had 10 years ago are different. My list has many Brazilians, starting with the great Rafael Grampá, whom I had the opportunity to meet and exchange words with in 2010, in a rock concert called Goiânia Noise Festival. 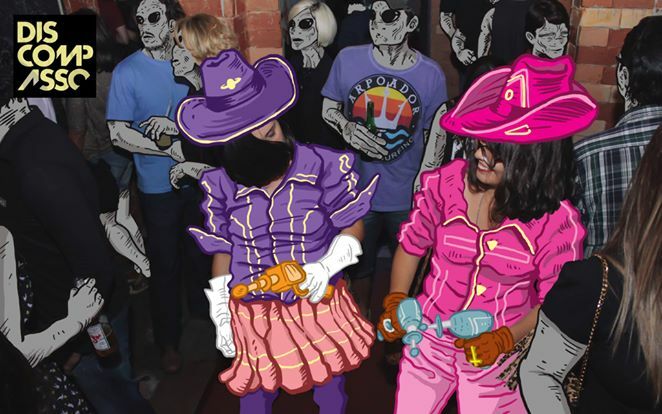 Besides him, there is also the crazy crowd from Bicicleta Sem Freio, a group of illustrators with many peculiarities. Also my partner Jesus Jones, with his stylish lines. Another artist who surprises me a lot is Frank Quitely who, for me, has a brutal eye when we talk about comics. I can’t forget the master of the masters Moebious, and also the Japanese Takehiko Inoue. To conclude, I would like to add the Argentinian Salvador Sanz, that I’m liking a lot lately. What do you think about life as a graphic artist in Brazil? Dude, it’s difficult to live only with illustration, mainly with author pieces. Recognition from the public is low. There is no incentive, mainly in schools. However, I believe that the scene is changing. 20 years ago I think that it was even worse than today (thanks internet!!). 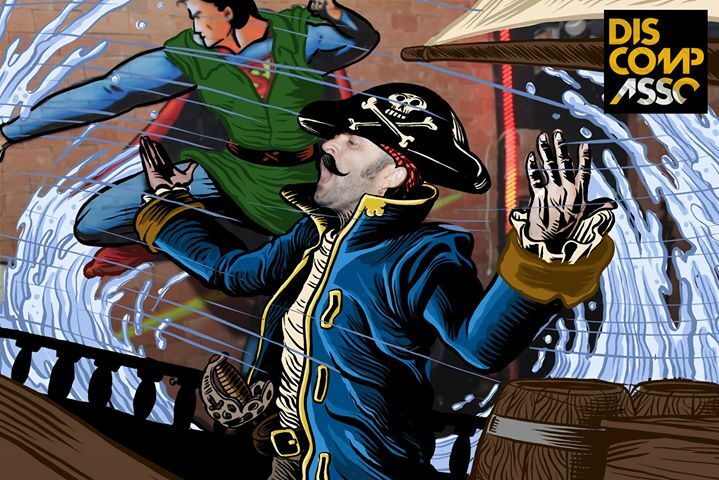 Today there are a lot of talented people changing this reality living 100% from illustration. I’m not there yet but I plan to. What do you like to listen to while you are creating? I’m not that monotheist in relation to a genre, I’m super polytheist!! (laughs).The music comes with my state of mind. Rock, soul, hip-hop, rap, classic music and the list goes on… Lately I’m in love with MPB (Brazilian Popular Music) and I can’t forget the good ol “moda de viola”. I’m inspired by many types of art forms, in good stories and mainly by the possibility of touching people with my art. The universe is huge, our lives are grains of dust in the universe and to share my ideas with others, even for a minute, makes me transcend time. That’s crazy!